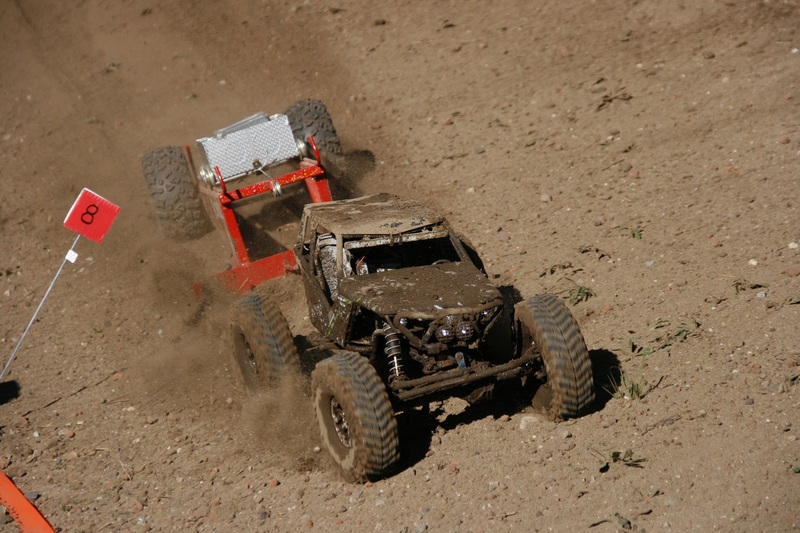 The Axial West Coast Challenge included a G6 Challenge event that is best described as a mix of rock crawling, high-speed off-road rally racing and scale. The G6 consisted of two classes, 1.9 and 2.2, and three stages held over three days. The first stage on Friday was started slightly before dusk and many drivers were still on the extremely long course in the dark. Stage two on Saturday night was completely run completely in the dark. Sunday’s final stage included a mud bog, frame twister and sled pull. Tons of photos and video going up this week. Did you have fun at the AWCC? Tim Terry aka MR.VERTICAL it was great to see you ,your crew did a great job at the AWCC can’t wate to see the photos and interveiw . I had a blast at the AWCC! Thank you Matt for all the coverage and it was an honor to meet you. I look forward to seeing the photos of some of the most talented r/c crawlers and scale drivers in the country “doin’ work” and the 2011 Axial West Coast Championships.